Active Chem-Dry tile cleaning, stone cleaning and grout cleaning services deliver outstanding results throughout Orange County, CA. Call (949) 612-7464 or schedule an appointment online. You can also receive a free estimate. Bathrooms, kitchens and patios look amazing with beautiful tile, ceramic or stone floors. Hard surface floors are easy to wipe down to and remove surface stains. Routine tile cleaning requires little more than mopping and sweeping once a week or so. But grout and stone are not impermeable to dirt and soil. Dirt will build up over time and require deep, professional tile cleaning. Porous portions of stone and tile will breed bacteria over time without regular deep tile cleaning. Dirt builds up over time and it must be removed. Sweeping and mopping hard-surface floors and tile reduce the buildup of dirt but do not prevent it entirely. You can attempt deep tile cleaning on your own. You will need to get on your hands and knees with a toothbrush or scrub brush and vigorously scrub the porous areas that brooms don’t reach. It is an extremely labor-intensive chore and the results won’t match the professionals. Active Chem-Dry tile cleaning delivers a much deeper clean with innovative equipment and solutions. 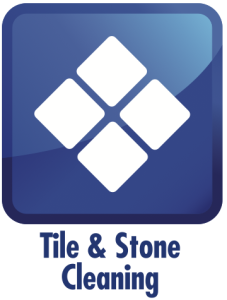 Our technicians are certified to clean tile, stone and grout. The goal is cleaner, healthier tile. No different than our carpet cleaning service or upholstery cleaning. Active Chem-Dry removes germs and contaminants found in your tile and in your home to create a safer environment for children and pets. When you hire Active Chem-Dry or tile cleaning, you aren’t only cleaning your floors, you are also protecting your family and creating a healthier living space. Professional tile cleaning protects your floor investment and your health. You don’t realize just how much a clean home helps with your health. It’s one of the biggest benefits of hiring Chem-Dry and it can’t be overstated. Our services remove bacteria and contaminants that can be harmful. Homes that aren’t cared for and cleaned correctly are not healthy environments. The outdoors can be healthier than a dirty home. Routine cleaning is the first step but just as important is professional tile cleaning. Professional tile cleaning removes the deep, embedded dirt unseen to the human eye. Our service penetrates deep into the porous surfaces of tile and stone to restore the natural appearance of your floor. Tile and stone are brighter and more vibrant after our technician cleans them. This service will also extend the lifetime of your floor and built up dirt and contaminants can wear down the quality of floor over time. 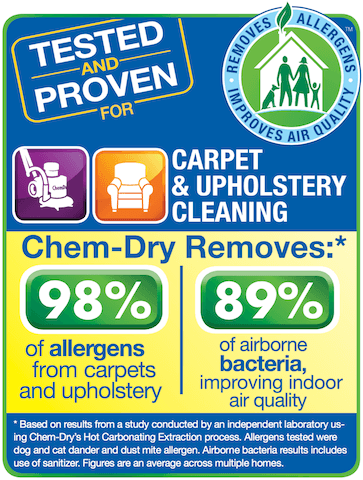 Not only does Active Chem-Dry remove dirt. Our service helps to seal it out in the future using a sealant applied at the end of the process. Surface-level particles and soils are removed for access to deeper dirt. Adjacent flooring is taped off for protection. Quality checks ensure the process is working correctly. Sealant creates a barrier to help prevent contaminants and dirt from becoming embedded within the porous surface. The sealant protects the floor following the tile cleaning service. Our complete list of tile cleaning services entails sanitizing, sealing, color restoration, polishing and granite renewal. Tile and stone floors are beautiful. Routine cleaning only does so much though. Trust the professionals at Active Chem-Dry for superior, deep tile cleaning. Learn more about our services at our blog or call (949) 612-7464. We’re here to help and provide answers to any question you might have. IICRC explains the importance of hiring professional tile cleaners. Learn more. Better Homes and Gardens offers a handful of tips to help with DIY grout cleaning before turning to the professionals for deep cleaning.